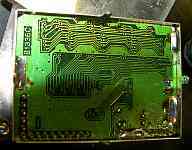 I'm going to show you how to fix a couple problems with the Icom IC-R9000's CRT display and also with the video generator that makes the picture for the display. In this case, my friend had already replaced the CRT because it was burned. He asked me to look at the other problems which prevented the data from being displayed legibly on the radio's front panel CRT display. That can make the highly computerized radio very hard to use indeed. Do ths at your own sole risk. There were two problems on this otherwise fine communications receivers. These receivers run very hot inside. Icom should have added a fan. You should add a fan! Finding 1991 date codes in the unit, I was not too surprised that some attention would be needed. The first problem is a distorted video signal. 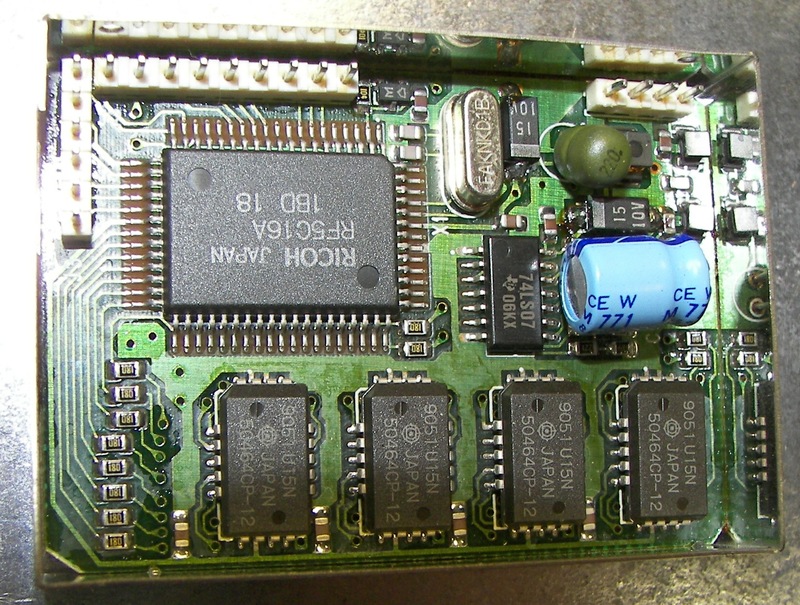 This was caused primarily by a bad capacitor C11 on the video generator board, called the CRTC board. 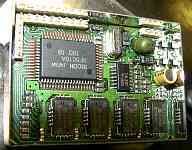 The board can be removed and repaired by a competent electronics technician. 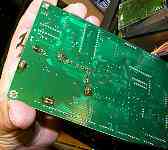 The job requires desoldering pins that go through plated-through holes in regular lands and also through those pesky ground planes on a dual-sided board. If this sounds intimidating, take it as a warning to be very careful with this work or you can ruin the job. The way it fails is that C11 is in a closed-in box mounted on a board which is in another closed-in box, and this is mounted under a bracket with yet another box on it. 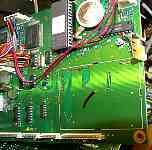 Therefore the blasted thing gets very warm and the poor capacitor dries up and loses capacitance - and at that point it cannot pass the low frequency (V sync) part of the video synchronizing signal and the CRT picture goes to pot. The easy way to make nearly certain that C11 is giving you the problem is to get access to the Logic A unit and test with a scope at J14 for video. J14 is where the signal from the CRTC board leaves the enclosures via the LOGIC A board. J14 is cramped and it is hard to get the probe there, so use a mini-clip. There is only one gray cable going into the rear side of the Logic A and B box. It's the video signal cable. There are two ways to isolate the problem. They amount to the same thing. 1. Disconnect the video signal cable from J14. (you would have to already have done quite a bit of disasembly). 2. Trace this video signal cable by hand. It will go into a bundle of like cables through a hole in the chassis and then out towards the rear panel jacks board (called the "CONNECT A B UNIT"). Find where it plugs into its jack on the unit. Unplug the cable from the CONNECT A B UNIT. To evaluate this test, watch the scope and then disconnect the cable and see if the video straighens up. You need to know what a typical video signal looks like (the upper trace here is an example) -do not worry about the level, merely the appearance. It should have a clearly defined top (signal) and bottom (synchronizing) section as shown. If the video waveform being monitored at LOGIC A J14 becomes good or substantially improved, then C11 is the likely cause. Why does it matter if you disconnect the cable? Simple. 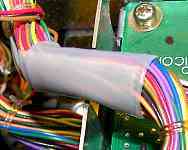 The other end of the cable feeds the video signal to a video switch/amplifier IC. Inside the IC is a resistive load. So, taking the load away diminishes the effect of the bad capacitor on the signal. Of course the scope is also a load, but it is so light a load that it does not reasonably affect the signal. 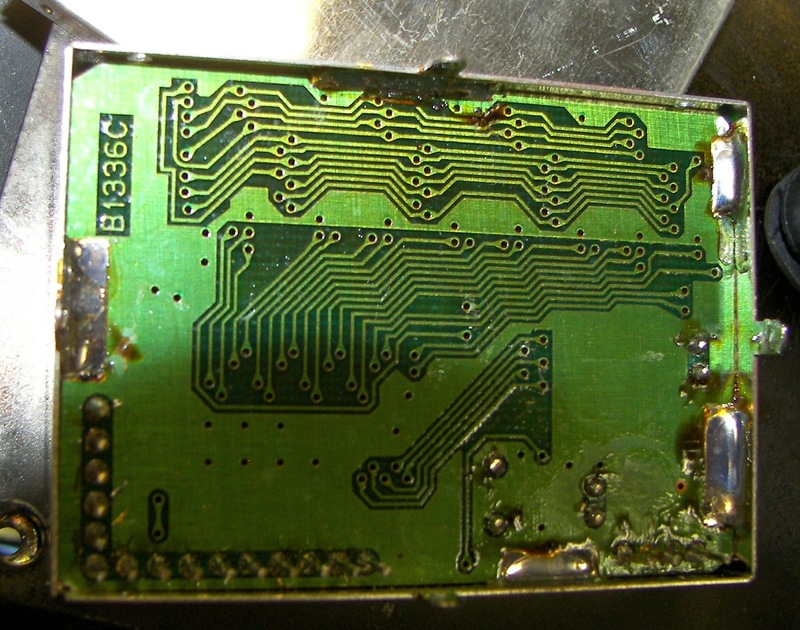 Now, how to get at the underside of the CRTC board to desolder C11? 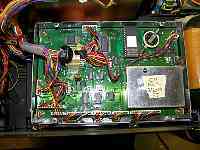 Just take the radio apart to get to the Logic A B unit as shown in the pictures. Good luck. Don't break it. 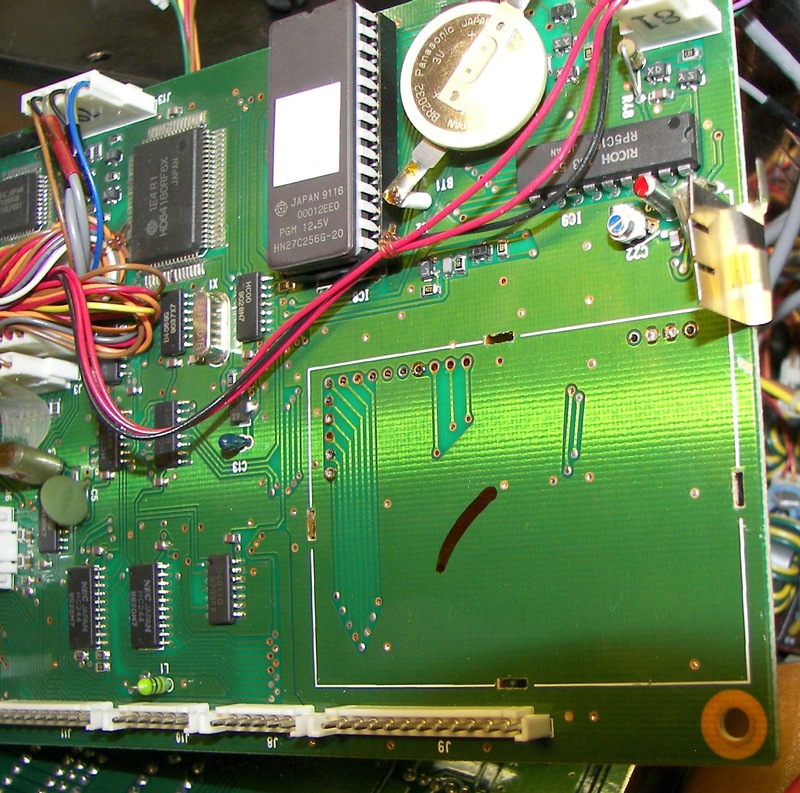 CRT Unit, Logic Unit with A and B boards, and Scope Unit are highlighted. Also refer to this picture to help visualize the arrangement. Yellow are CRT & boards, Blue are the metal enclosures/boxes, and Green is the bracket that holds the Scope unit above the Logic unit. Gray is the black foam pad on top of the scope unit. 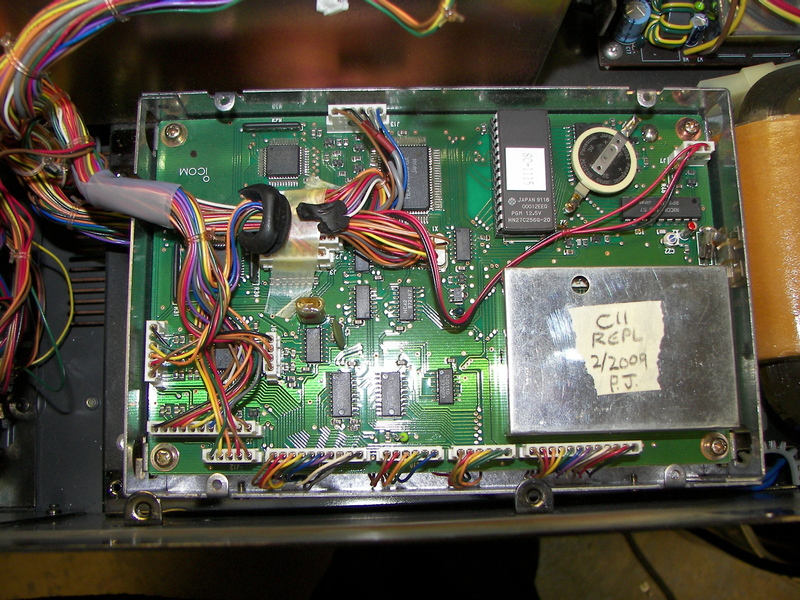 Ok well I already took this apart before taking the picture, but as shown the Scope unit is above the Logic unit. Note the battery on the Logic A unit. It should be a 3V cell. Might as well check it while things are apart. I have already removed the CRTC unit in this picture. 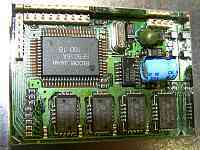 This shows where the CRTC unit goes on the Logic A board..
CRTC board removed, top view. By the way, watch that EPROM there. If by any chance the label (white) is missing exposing the window, cover it up right away. 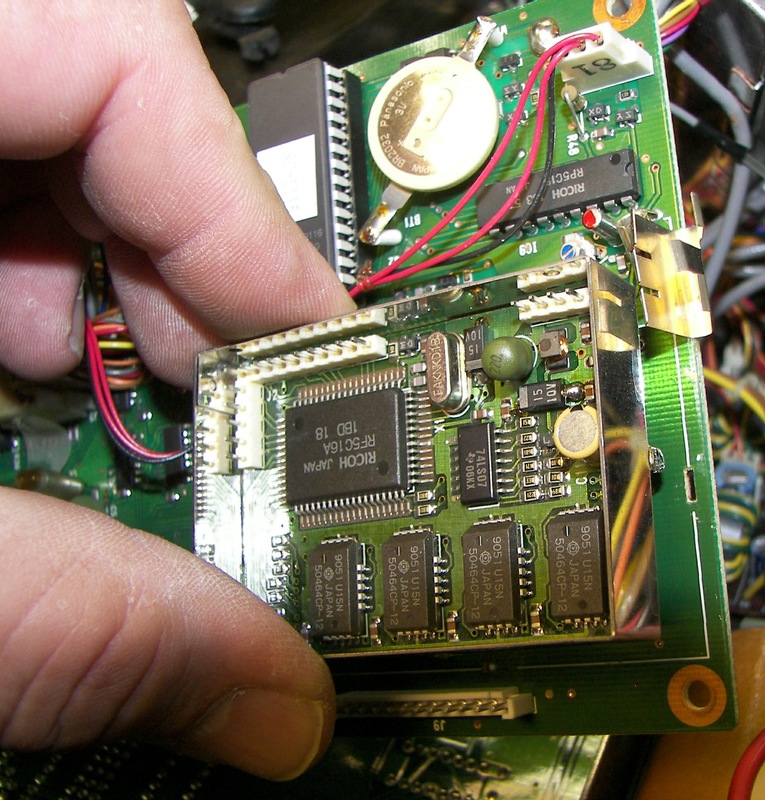 EPROMs are erased by UV light and flourescents will slowly take their toll and that one is 18 years since programmed. If nothing else a piece of black electrical tape is perfectly acceptable. The bottom side of the Logic A board showing all the 19 or so pins and the 4 tabs that had to be de-soldered. This is not a job for an amateur. It is well worth it to pay a competent technician his going rate for this job if you are not sure about doing it yourself. The CRTC board. C11 is the yellow cylinder. It is a 100uF 10V electrolytic capacitor rated 85 degrees C.
The underside of the CRTC board. The two solder pips of C11's leads can be seen clearly on the right. Hit them with a hot iron and it will fall right out. C11 was replaced with a 100uF 16V electrolytic capacitor rated 85 degrees C. The higher voltage rating and larger size gives a little more electrolyte. A higher temp cap could also be used. The real problem with upgrades in here is space. The new cap lies above the rows of chip resistors, not touching the 74LS07 IC, since the IC could be a heat generator. Do as you like, just use a good quality cap. Another problem was the rubber grommet where the cable passes through the box (left). It was so deteriorated from heat it cracked in half. To the right of C22 can be seen the angled cylindrical jack, J14. I did mention it's not too easy to get a probe in there. 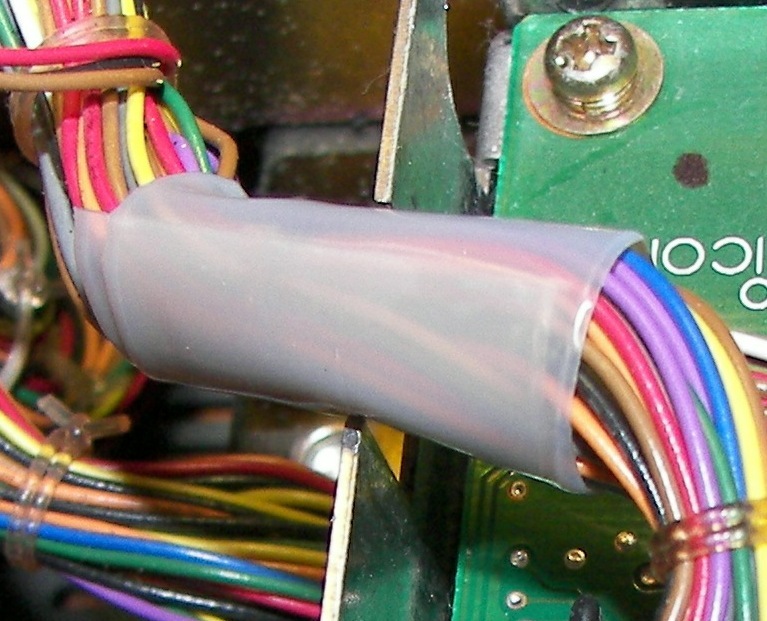 I chose to wrap the cable in a couple layers of some very tough mil-spec nylon electrical insulating tape. It will protect the cable and outlast the radio. Drawing of where J14 is. Notice also that J14 leads right to the first pin of the SIP header. If you remove the lid from the CRTC box, you can test there instead of outside the CRTC box at J14. This done, and reassembled, the display is now perfectly readable. I hope reading this was as much fun for you as doing the repair and posting it was for me. Unfortunately, the monitor has some component failures too. No problem for me, I used to own a TV shop and I've seen this before. After I did the above repair, I searched to see if there was any kind of cooling kit. 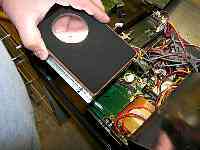 I found a website where Traian Belinas, YO9FZS, has told how to add a fan and also written interestingly about the CRT and video troubles including C11. Be sure to find his web page on this subject. Next: The second problem, bad vertical linearity on the CRT display. It will get a thorough checkout, repair, and alignment.